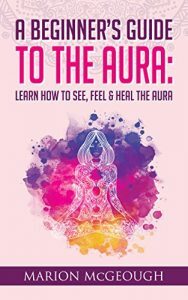 This is a must have book for all those of you who are healers, those who who intend to become healers or those who are simply interested in energy medicine. This is the first layer of the aura and is found quite close to the skin. For this reason some people believe that the etheric body is the skin and see it as a connecting body between the physical body and the rest of the aura. The etheric body contains a blueprint, a map of our physical body and our DNA. This map contains not only a carbon copy of our physical structure but information about our history and genetics. Just like the Root Chakra, the etheric body is concerned with our basic needs. The need for food, clothing and shelter is essential for survival. As well as these essentials it is important to have regular contact with other human beings. We are all sensory beings and we need to interact with others, to exchange and balance our energy in order to survive. If there is a breakdown in any of our close interpersonal relationships this can be detected in the etheric body as well as the physical body. Damage can occur to the etheric layer of the aura and physical symptoms can manifest such as those related to a person’s mental health like anxiety and depression. Skin problems such as eczema occur when the bridge between the etheric layer and the physical body has been disrupted by negative thoughts and energy. This is the second layer of the aura and is concerned with our emotional state. In some ways the emotional body is the purest of all of the layers of the aura and this is because the emotional body is concerned with our feelings. Our feelings are transferred into thoughts and then our conscious mind works through our feelings and we react accordingly. The emotional body is connected with the Sacral Chakra. The way that we feel is important to our health. Most people are aware of the connection between the body and the mind. Perhaps less of us are aware that our feelings can also affect our health. When things are going well for us our energy flows through the aura and through our physical body. When that energy is affected by suppressed feelings, such as anger or grief, the energy can become blocked. If there is something on our mind we often feel different. We feel disconnected and often activities that we used to carry out easily and quickly take longer and life becomes harder. If we have too many repressed feelings damage occurs within the emotional body of the aura. Damage to the emotional body that has taken place during a past life is also still present, stuck in the emotional body. This is why specific things or places can cause an unusual emotional reaction from within any of us. If the damage becomes too great the emotional body will begin to break down and the individual will find it hard to regulate their emotions, therefore many illnesses associated with mental health and emotional well-being originate in the emotional body. The mental body connects with the Solar Plexus Chakra and this auric layer appears as light yellow in colour to those who can see the colours of the aura. The mental body digests, metabolises and contains information related to all of our experiences from both our past and current lives and this is an ongoing, flowing process. Each of our cells contains its own intelligence, and when the mental body expands outwards and connects with other people’s mental body, intelligence is shared on a spiritual level. The astral body is connected to the Heart Chakra and this is where both the physical body and the aura meet. A silver cord connecting the astral body can be found at the navel with the purpose of the cord being to keep the person grounded, connected to the earth. During astral projection the astral body is able to fly through space and time. The astral cord is infinitely long and very strong and will not break. There are many stories of astral projection; some involve the individual simply flying through time and space. There are other stories that are told by people who have had experiences where they have met spirit guides, angels and ancestors and actually had conversations with them. There are others who have conversed with other people in the family home whilst their physical form has still been asleep. This layer of the aura is associated with the Throat Chakra and is concerned with our ability to communicate, both on this plane and in other dimensions. The etheric body receives messages, guidance from other sources along with our own sense of inner guidance, messages from within. Often we are not aware if the messages that we receive are from some part of ourselves or from another source. Often the guidance we receive seems to be so different from how we normally think that it appears to be completely alien to us and this is when our messages have derived from other dimensions. The etheric template is a carbon copy of the physical body in spiritual form. When a person receives healing, much of the work is carried out in this layer of the aura and the effects are transferred to the physical body. This layer of the aura is made up of many fibres of light and is so bright that many people find it difficult to see it with the naked eye. The intuitive body is associated with the Third Eye or Brow Chakra and is concerned with our spiritual development. A halo often appears around the head of a spiritually advanced person. This halo is the intuitive body. Interestingly, many saints and holy people have historically been drawn with halos around their heads. As our individual search for our own purpose in life progresses the celestial body becomes stronger, thereby leaving us feeling more spiritually aware. This layer of the aura vibrates quite quickly and, when we become spiritually enlightened, we are able to access the higher dimensions of consciousness with very little effort. When we do this, when we tap into the Universal consciousness, we become wiser than our years and wiser than our life experiences allow. This layer which is associated with the Crown Chakra has an egg-like shape and is the furthest in distance from the human body of all of the layers of the aura. Comprised of very rapid vibrations, the purpose of the causal body is to act as a support mechanism to the human form. The causal body is strongly built and records all that the person thinks and does in their lives. In this way the causal body acts as a bank, storing all of the individual’s life experiences, both good and bad. The lessons that we have learnt, as well as the lessons that we need to learn in order for the soul to develop further and connect with the Divine, are all stored in the outer layer of this part of the aura. is available for purchase through all Amazon sites.